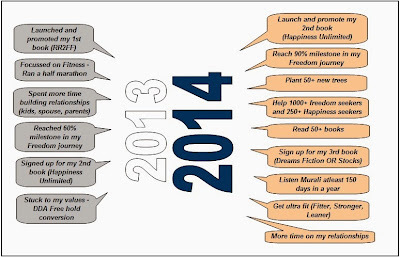 Happiness Unlimited...: Set your goals for 2014 and get going - Destiny awaits action !! 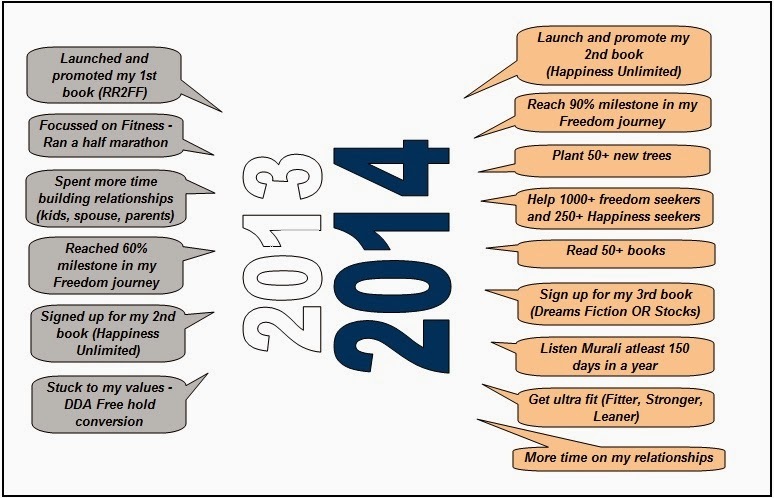 Set your goals for 2014 and get going - Destiny awaits action !! As 2013 comes to an end, it is the right time to look back at how great the year 2013 was. Many of us only look forward to new goals for the new year but fail to give a pat on our backs for the hard work and rewards that we did achieve in the year that is passing by. Here is what i have found works out the best. List down some of your biggest accomplishments in the year going by ie 2013, and then list down what you plan to achieve in the coming year 2014. I am happy to share what i have prepared for myself. 2014 goals gives me the ammunition to go after the coming year fully charged up, while 2013 accomplishments keep giving me the energy and keep up my faith in my own abilities. Never take the guilt - even if 2013 has been a disaster, because that's gone. Collect all your lost threads, make fresh goals and get going with what lies in front of you. Once you have prepared your goals for 2014, make sure that you document them or take a print, laminate it and put it on your alimrah, door or any other place from where you can see them at least 2-3 times a day. It will be best if this is placed in your bedroom, so that you see it first thing when you wake up, and last thing before you go to bed. This technique does wonders because whatever you think with your passion and emotions, starts to get manifested in reality sooner or later. Nature is responsible to get that done for you. Set your goals, and get going - track them daily, weekly, monthly. This daily tracking will give you the happiness which is a part of the journey to achieve goals. If you have failed to plan, you have planned for failure !! 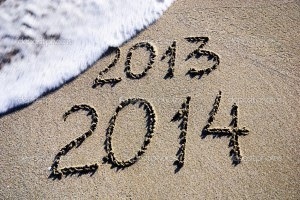 I wish you all the best for a happy and prosperous 2014 !! Your destiny awaits your action.